I still think Sadie was the one. The way Sadie calls Arthur "Honey" in the last mission is something else, It melted my heart. Also, the way she greets him and talks in funny ways sometimes. Yeah I think Sadie is the one too like Katieyyy pointed out what the f*ck was the point of that Mr. Kilgore dialogue, the honey remark and why her Rockstar bio states she's loyal to those she loves. I don't think Sadie was loyal to anyone else besides him. "Loves" is the highlight in the bio there. Same goes for the husband dialogue at Hanging Dog. For two two people who were only meant to be platonic friends, why did the writers do that? Out of all of the characters, it's only Sadie and Arthur with all the small details. Youd think it'd be Mary-Beth yet there isn't anything to prove it's Mary-Beth same with Charlotte, whileas Sadie has a lot of example reasons on why people assume it's her. It was pointed out too on this thread, "you're the best man I've ever known" whatever she says, while the low honour is her best friending him, I don't understand either like it was pointed out if it was platonic than why isn't that the high honour dialogue and why add in things like that? Can an NDA even stop her VA from discussing things like this? Sadie as a love interest never made sense to me anyway, but the idea that they they just cut a romantic relationship between her and Arthur out of the game in the final weeks of development just seems absurd. Most of that 5 hours of deleted content there is almost certainly still evidence of in the final game (the mysterious goings on at Emerald Ranch, the missing princess, etc). 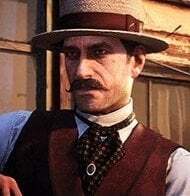 They couldn't have just deleted a Sadie/Arthur romance - they would have had to totally re-write it and re-record dialogue and motion capture and I doubt they were doing that with only weeks of development remaining. Also Arthur already has a love interest during the same period of the game that people are suggesting there was a cut romance with Sadie. It makes no sense. The thing about Mary is, Arthur can have a love interest in her if the players says yes. Otherwise, Arthur will reject and say its over. Yes, it can. If the public doesn't know, you remain tight lipped or deny it ESPECIALLY with Rockstar. Sounds very much like the 5 hours were cut late in development after the acting/recording was done. It's possible when he talked about the romance he was referring to much earlier in development, but in that case it wasn't really deleted, it was merely re-developed as I'm sure many other things were. Nah. No one knows when it was cut. 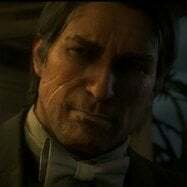 Javier's voice actor said scenes were changing daily. E.g the wolf scene at the beginning was all done with Javier fighting in a cave with a torch. They decided to switch it up. He said it was always constantly changing and the amount of stuff they cut is crazy. That dialogue with her calling him "honey" could've been original plot for a romantic narrative, it sort of seems like it and then they decided to scrap it but probably (maybe) decided to keep it because "honey" can be taken in any way. Like I can't be the only one who noticed that, the way they are set up is a similar scenario. So maybe there was a love triangle between there. As for the NDA. Interesting. It would explain the, "in my opinion." Ok, after you said that I remembered a small thing that can be hold with ambiguality. After you accept ride with Sadie to the ranch, the time will pass by a day. Then It shows Arthur waking up in this temporary tent, maybe in a different scenario, they spent the night? Possibly. I always wondered that too with the whole tent thing. Oh yeah. I forgot about that. It skips the night and Arthur wakes up with Sadie already awake by his side. And only one sleeping bag. Even on his trip with Hosea to the mountains they slept on different sides of the fire. There's no fire here and only one makeshift tent. Also if you don't go with Sadie immediately she'll be there in that same tent waiting for you, eating beans so clearly Sadie made it. Maybe they took turns guarding? Also look at how Arthur wakes up. There's room for another person on the right. Otherwise, she's just standing guard.... beside Arthur.... for no reason for God knows how long as the dialogue indicates Arthur was asleep for a long time. Also, she only talks about her and Arthur running away together and leaving the gang. That's.... very strange of her to say. This is funny. There might be a high chance that several of us are overthinking the f*ck out of this and the obvious answer is what she told us and for all we know it could've been a character concept that never even made it into production rather just a concept on the white board in the writing room. At the same time, I can't tell if this ends the debate if Sadie was planned to be his second love interest or not cause Alex is answering with her personal opinion. Remember, she's a voice actress and the actors seem to have no input. Especially when it comes to Rockstar. They didn't even know their own roles until years into the project like what the f*ck? This is Rockstar we're talking about the same people who get angry at the actors who refer their characters as an avatar. Sounds to me she's just making her own personal guess judging by the games CURRENT narrative. The guy who sent her the question poorly phrased what he said too like lol as to why he got an answer which fits what he asks. If he had phrased it in a specific way asking her if Sadie was once planned and intended to be a love interest at one point until Rockstar scrapped it and asked if she had filmed way more scenes they had cut then it wouldn't of been a matter of opinion she'd either known or not known or wouldn't be able to specifically say because they're probably if anything under an NDA. @Cutter De Blanc said it perfectly. You either recorded the lines or you didn't. She never answered if she recorded lines or not, sounds to me she gave an answer based off the current scenario from the current game since that's what it sounds like she was asked. Honestly what male and female best friend sleeps in the same "bed" let's call it together. I always found that funny how they have a little shack set up for themselves, clearly they were napping together if there was one sleeping bag. I don't think she guarded all night. So yeah, either she's not the love interest and whatever she's saying is true, or, she is but the question was poorly phrased so we got an opinion. Either game files will show us the truth, or we'll never find anything and we'll never know or the love interest was just a writing room concept that never made it to production, just a quick jot on a piece of paper that went straight to the shredder. Rockstar ain't Blizzard but they did the same sh*t with Ashe and Mcree. The voice casting director called Mcree and Ashe ex-lovers at the Voices of Overwatch panel and Michael Chu never corrected her. He went on Twitter to say after someone said the panel called them ex-lovers Michael responded by saying, "more describing the energy than the actual relationship" lol more like, yeah they were bang buddies with history and still former lovers just Blizz covering it up cuz the dev's don't want to get the shippers mad. Sounds like the same scenario here that can't be answered based on NDA and poor phrasing. Blizz covering it up cuz the dev's don't want to get the shippers mad. Just noticed that Sadie, Mary, and Charlotte are ALL widows lol. This is Rockstar we're talking about the same people who get angry at the actors who refer their characters as an avatar. I noticed when running around with Charles and Uncle in the SE bank heist that the NPC's will refer to you as a group, like hookers will say "hey boys"
The pause menu is FILLED with beta screenshots. Like multiple never before screenshots of Arthur wearing his duffel coat with an unbuttoned shirt and neckerchief. Also a buttoned up version of the chapter 1 winter outfit with an off hand holster. 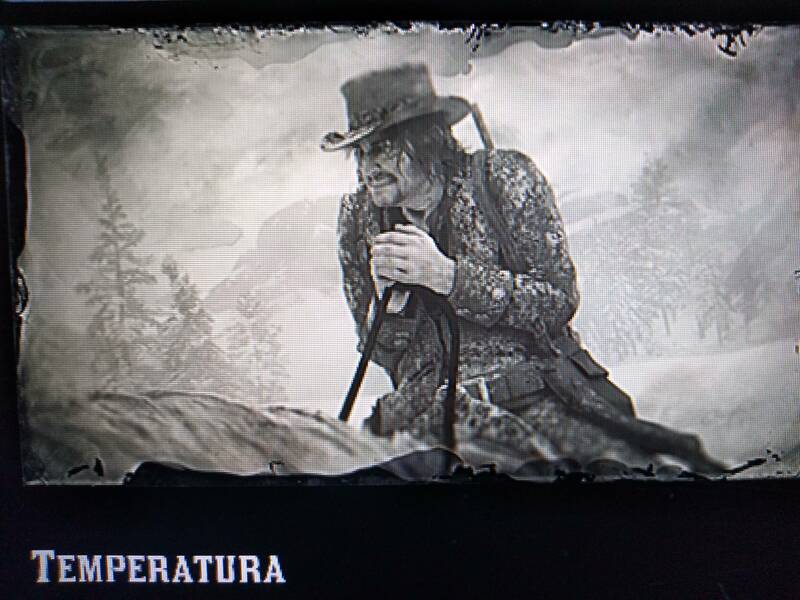 Also beta playable John with his 1899 hair, outfits and a more RDR1-ish beard. They're just tormenting us now lol. The pause menu is FILLED with beta screenshots. Like multiple never before screenshots of Arthur wearing his duffel coat with an unbuttoned shirt and neckerchief. Also a buttoned up version of the chapter 1 winter outfit with an off hand holster. 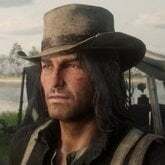 Also beta playable John with his 1899 hair, outfits and a more RDR1-ish beard. They're just laughing at us now lol. Lmao john looks like he is about to make up some evil plan. Yes i know, but still. Hold on i just noticed he aint even holding the what do you call it? rope thing. Greasy Johnny Marston... So greasy even the WOLVES spat him out.. He is though. It's between his hands. Just noticed that in the pause menus help section, the "General" section is a photo of Arthur on horseback in New Austin. "... We've got our fingers and we got our toes and what you can see up on the screen is your actual ... I use to call it my avatar but they didn't like when I said my avatar but I was like that's my avatar." Interviewer: "Why didn't they like it?" Trevor's VA: "IDK, I never asked, whatever." So was New Austin going to be chapter 4 since someone in another thread mentioned that John and Arthur can ride into New Austin together? He likes his widows ayyy. I still think it's Sadie even though I'm probably wrong as f*ck and it's probably wasn't. I still wonder if it was just some sort of idea that they came up with but it never made it far idk why the f*ck Dan would say there was another one tho. I would, you write these amazing better than hollywood stories, years of work and boomers and people who dont play think its dumb because its a game.